ProStrip Sandblasting specialises in commercial and industrial sandblasting and abrasive blasting to the automotive, trucking, marine, agricultural, road and rail, mining and heavy industries. We have worked alongside top-tier commercial builders abiding by strict guidelines, following safety protocols to get our abrasive sandblasting jobs done in a fast, safe and efficient manner. 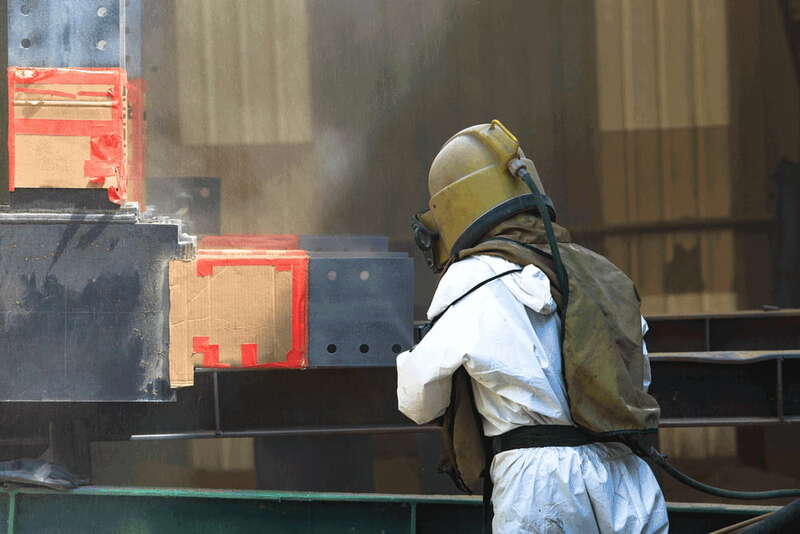 One hazard of on-site abrasive blasting is the environmental impact. Traditional heavy blasting techniques use a large number of materials that can damage the surrounding environment. ProStrip Sandblasting uses industry-leading blasting materials and state-of-the-art equipment to minimise waste, reducing impacts on the local habitat. We work with truck and trailer companies to strip buses, trucks, trailers and farm equipment of any size and in any condition. Our team carry all necessary licenses, permits and qualifications for commercial stripping and abrasive blasting, and can draw on specialized knowledge using a variety of different blasting techniques, material and equipment. Boats and marine equipment require a unique understanding of the blasting equipment and materials used. Traditional blasting of marine equipment often leaves the vessel or equipment prone to corrosion. ProStrip Sandblasting’s soda blasting solution can tackle any marine blasting application, including fibreglass hulls and sensitive marine equipment, using specialist soda blasting equipment. Mining and heavy industry equipment need regular maintenance to keep them in top working order, including the many moving parts and external finishes exposed to corrosive environments. We can strip loaders, dozers, tippers, regular site vehicles, and parts to remove corrosion and external damage, in preparation for repair. We’ll work with your team to ensure all OH&S standards are kept both on-site, or if the equipment is removed from the site, and provide environmental impact statements on request to ensure we maintain or exceed eco-standards.